In the early 1980s, when the Japanese architect Kisho Kurokawa submitted a design of a 20-storey massive glass cone encasing the heritage-listed Coop’s Shot Tower, the government panel was impressed. It was an architectural ingenuity, a perfect blending of the contemporary idea and antiquated style, an impeccable redeveloping plan enhancing the harmonious relationship between the modern and ancient Melbourne. 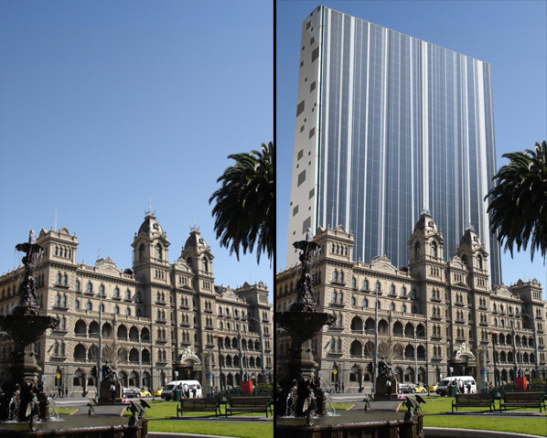 Based on the success of Melbourne Central, some might have thought that Melbournians would have loved the idea of a subtle unification and gentle contrast between a 19th century Renaissance Revival style hotel and a giant fashionable glass tower. After all, isn't the city of Melbourne itself a strange combination of all things vintage and advanced? But much to the surprise of the Indonesian Halim family (the present owner of the luxurious Hotel Windsor), its proposal to refurbish this Duchess of Spring Street was met with contrary reaction, and enraged numerous heritage advocacy organizations including the National Trust and the Melbourne Heritage Action. Campaign was launched to “save the Windsor”. Various sectors were aghast by the potential horrendous disfigurement of the fabric of East Melbourne, where the elegant Parliament of Victoria and the lavish Hotel Windsor now stand face-to-face in their glorious pride. 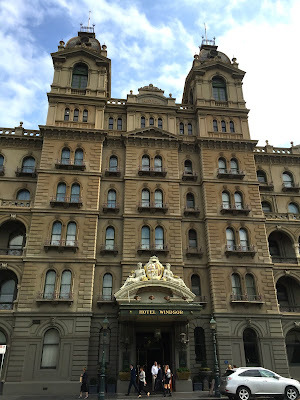 The Hotel Windsor is a rare surviving symbol of Victorian stylishness in the 1880s. Built in the era when the city was enjoying its economic peak during the gold rush, the hotel prides itself as one of the world’s oldest grand hotels, pre-dating the world-renowned Savoy in London and the legendary Ritz in Paris. 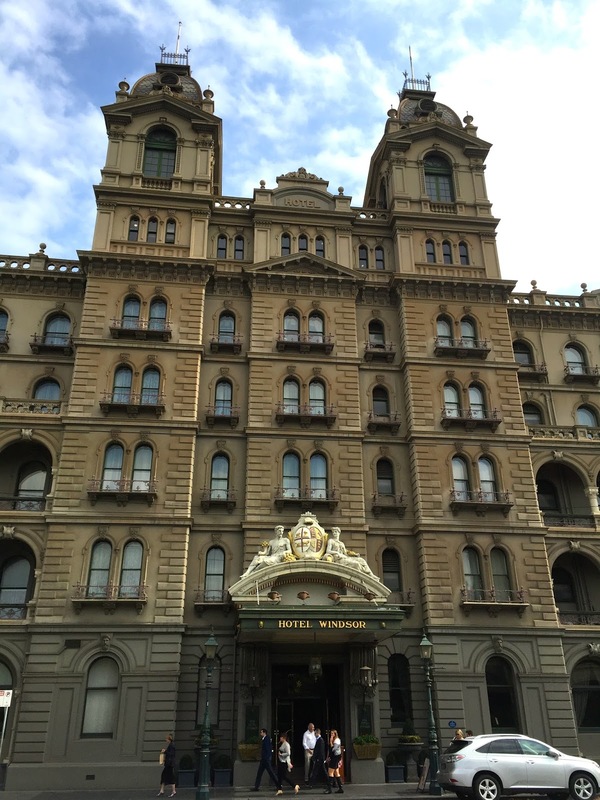 Exteriorly, the hotel still maintains its extraordinary grandeur, with its twin cupola and symmetrical façade smiling charmingly at all visitors of Melbourne. However, it is also an undeniable fact that the hotel is slowly sagging in age; its wrinkles are crawling all over its interior, and its old-style facilities are sighing in exhaustion. The lack of an on-site car park, an opulent swimming pool and other essential elements of an international high-ends hotel means the Hotel Windsor will soon be overridden by its fierce rivals. The proposal for refurbishment at a cost of $330 million involved years of roller-coaster ride and a cumulative of dramatic events: an initial approval by Heritage Victoria and government, delay in operations due to financial crisis, strong oppositions from various heritage protection groups, a sensational news leak of a sham community consultation process to reject the plans, a subsequent approval of refurbishment plan, a court case in the Supreme Court, several approvals and rejections of extension of permit applications, and the most recent order from the tribunal granting a four-year permit extension to the owner. At the present stage, it appears that Halim Group has gained its ultimate victory, and the proposed development of a slim wall tower backdrop for the 19th century grand hotel would be an inevitable occurrence. The heritage advocates remain upset and unimpressed, calling for the “superficial” restoration to be abandoned to save the beautiful landscape of Melbourne. So, will the Melbourne skyline and the heritage-listed hotel be awfully destroyed eventually by a shimmery glass tower of 93-metre tall? I will let you be the judge.